Las Vegas, Nevada (January 9 to January 12, 2018): The 2018 International CES continued to expand into the largest consumer technology annual exhibition. From Tuesday, January 9 to Friday, January 12, 2018, thousands of old and new exhibitors opened their doors to trade members and international media. Highlights of the 2018 CES include the introduction of 5G, autonomous vehicles from various major vehicle manufacturers such as Mercedes Benz and Toyota as well as usual as personal accessories typically present in previous CES such as wireless earbuds and wallet tracking devices. Annual CES include keynote speakers such as Huawei's CEO, Mr. Richard Yu, apart from introducing their new flagship the Huawei Mate P10 also went off the teleprompter at the end of his speech to express his disappointment, to say the least, in AT&T's last minute decision not to feature the Huawei mobile phone lineup in its US stores. This made that particular keynote very interesting as it was the first time such statements were made to the international media covering the event. On a brighter note, numerous music and sports personalities dawned the Gibson tent in front of the Central Hall of the LVCC. Examples were Mr Tommy Shaw, lead guitarist of popular 80's rock band Styx, Slash, lead guitarist of Guns n' Roses who also introduced his special edition personally autographed "Gibson Les Paul Slash Anaconda Burst Guitar" with the fastest man on Earth, Mr Usain Bolt, inside the Gibson tent on opening day, Tuesday, January 9th. Across the way inside the North Hall were the major vehicle manufacturers focusing mainly on electrifying for zero emissions and autonomous driving. 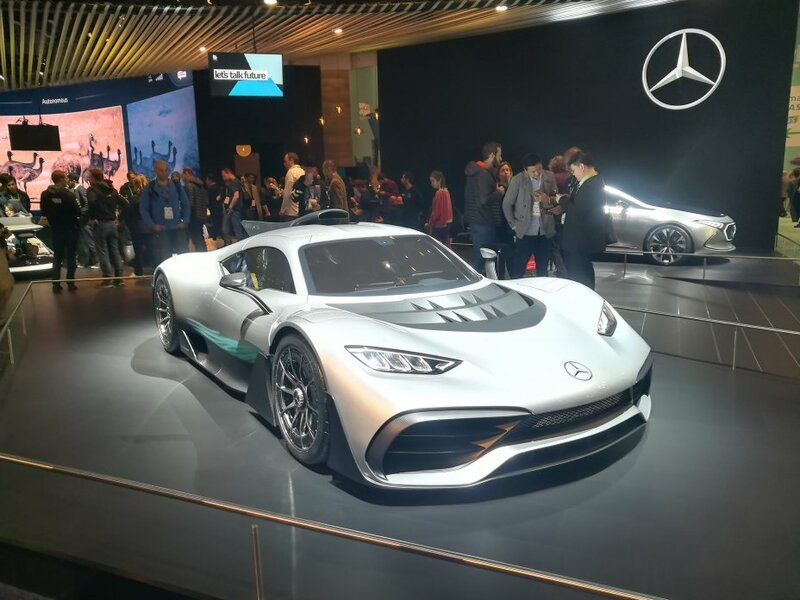 Mercedes Benz introduced the Project One street legal car which premiered at the Frankfurt Motor Show last year. Similarly, Toyota highligted their own zero emissions SUV. Finally, LOCTEK introduced and launched their pioneering office products. LOCTEK Ergonomics is a market-leading manfacturer for computer monitor mounts, sit-stand desks, height-adjustable tables and office fitness products. LOCTEK provides innovative technology for the consumer workspace either at home or the office that make health and wellness a top priority. The company's philosophy aligns with literature studies which state that a sedentary workspace increases health risks which LOCTEK's various products would help alleviate. Not only do the products help reduce health risks but also allows the busy consumer to incorporate exercise and fitness into their daily routine. Present in the booth and the LOCTEK Press conference on Wednesday, January 10, 2018, were the following: CEO Mr. Lane Xiang, VP of Sales, Mr. Chris Strunk and Business Development Director, Mr. Alex Laspinas. (All texts and photographs by Rene Zamora, Reporter/Photographer, Newsmexx TV, Henderson, Nevada USA).